Each year at budget time, families hold their breath to see if they are going to better or worse off. 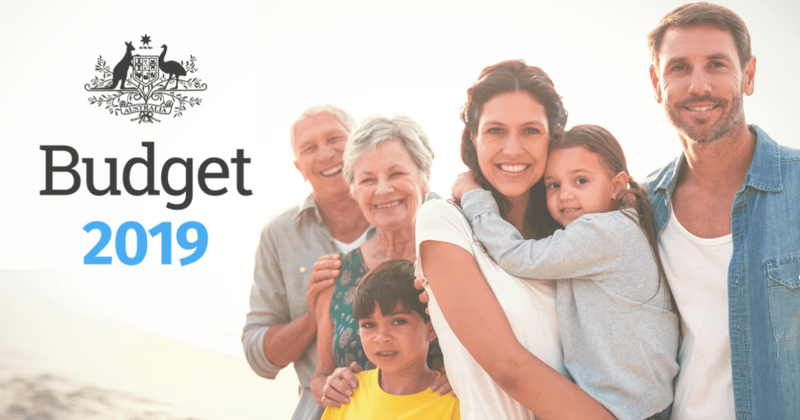 This year’s budget has a significant impact on some families with some being much better off while others are going to be struggling to find the money to fill the holes that the government’s budget is going to leave in the household finances. Here are answers to some of the main questions that we’re hearing from families at the moment. What will happen to our childcare rebate? The existing childcare rebate will be replaced with a new system from 1 July, 2018. If you have a household income over $350,000, you will lose your rebate which is $7,500 per year per child. While $350,000 is a high income when compared to the rest of Australia, for some locales around Sydney and Melbourne, it only just covers the mortgage and family expenses. If your household earns less than $350,000 but more than $250,000, you get between 20-50% of your child care costs back up to a maximum of $10,000 per child per year. Between $250,000 and $185,710 you get back 50%. If your household earns less than $185,710, there is no cap. Furthermore, as your household income slides down towards $65,710, your rebate increases initially from 50% of your childcare costs up to 85%. So as an example, a household with an income of $155,710 will get back 55% of their childcare costs, with no upper limit. Previously, at five days per week at $150 per day you were paying $39,000 per year per child and getting back $7,500, equating to a net cost of $31,500. Now, you get back 55% equating to $21,450 and a net cost of $17,550. The subsidies are summarised in the table below. This is a big year for education in the budget with significant increases in funding for most schools. The Gonski platform is being partially adopted with a different way of calculating Commonwealth funding for schools. While most schools will see their funding increased, a number of schools will have their funding either frozen, reduced or cut. Sydney schools such as Scots, Newington, Kings and Knox will receive extra funding of between $10 million and $19 million over the next 10 years. The budget also allows for additional funding for preschools to the tune of $428 million to ensure that as many children from age 3 onwards have access to at least 15 hours of preschool education per week prior to starting school. How much will it cost to see a doctor? Since 2014, the government has been squeezing the medical sector by cutting or freezing rebates and subsidies. All that changes with this year’s budget. Starting 1 July 2017, the additional funding and incentives mean that more consultations will be bulk billed. This will then progress to specialist healthcare in 2018 and allied healthcare in 2019. From 2020, further incentives are available for imaging and pathology. More subsidies are being made available for pharmaceuticals too. While getting sick will become easier on the wallet, it’s potentially offset through a higher Medicare levy which will increase by 0.5% from 1 July 2019. That’s $500 per year extra per $100,000 earned.